Wood is an amazing building material: It is beautiful and warm to the touch. It is easy to machine and abundantly available. It is light, yet strong and stiff and has a favorable strength-to-weight ratio. Best of all: It comes from a renewable source. Compared with other building materials, it is friendliest to the environment. To build with wood, however, requires an understanding of its peculiarities: the variability of its properties, its interaction with water and the possibility of bio-deterioration. Examples of historic wood use in architecture can be seen in numerous mill buildings, covered wooden bridges and houses that date back centuries. 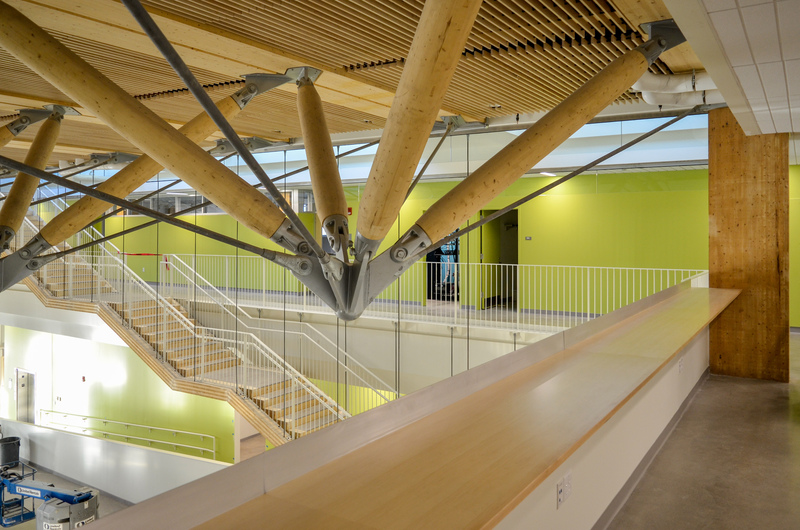 More recently, a number of large-scale structures have been completed in wood – often with a favorable cost in comparison with competing materials. Examples are Shigeru Ban’s Centre Pompidou in Metz, Renzo Piano’s facade for Peek & Cloppenburg in Cologne, the Richmond Ice Oval for the 2010 Winter Olympics or the Austria House in Whistler, built to strict passive-house standards. Thesis/Dissertation-based M.S. or Ph.D. program. This research-based graduate program requires students to complete a research-based thesis/dissertation in addition to coursework. Interested students need to contact a potential faculty advisor (see list below) before applying. Engineers who want to broaden their materials knowledge to include the complex and rewarding material wood. Architects seeking an in-depth understanding of the natural building material wood and its possibilities. Other building professionals who want to become experts in an efficient material that is once again rising in popularity.